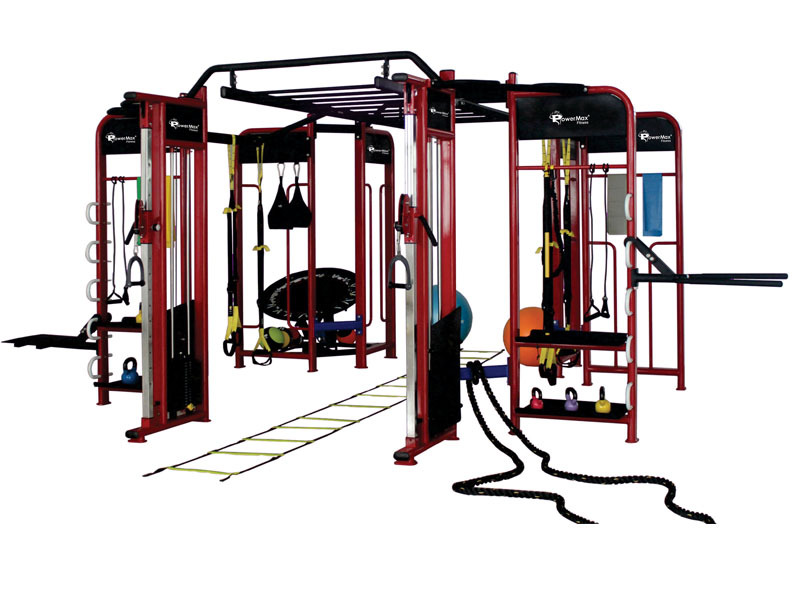 Our premier training destination has eight unique training spaces, including a 10-handle monkey bar zone and two dedicated areas for TRX suspension training. 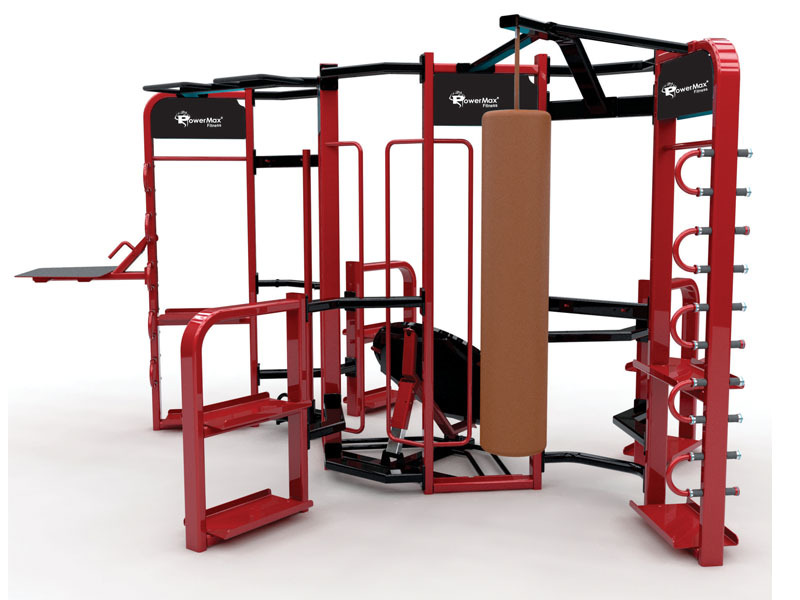 Our unique SYNERGY 360 concept's modular design can be customized to best reflect your training programs and objectives, and provide your exercisers with the motivational resources they want and need. 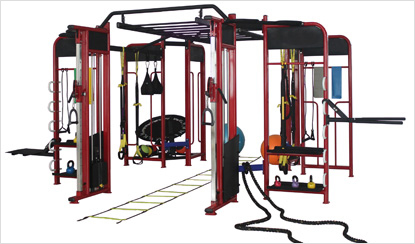 Equip your facility with the essentials to support a wide range of training activities. The most auxiliary attachment points and integrated storage available afford you the unique opportunity to create your own SYNERGY 360 experience. 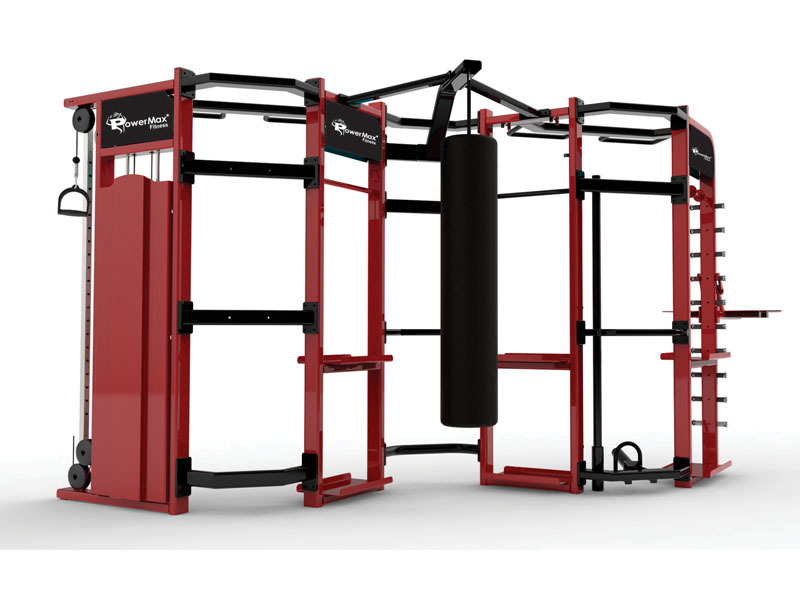 Solid-steel weight plates; Top weight plate is fitted with self-lubricating bushings; weight selector pin magnetically locks in place and is connected to stack to prevent loss; Incremental weight system is integrated on top plate. Nylon-coated cable meets U.S. military specifications; fiberglass-impregnated nylon pulleys feature sealed bearings.